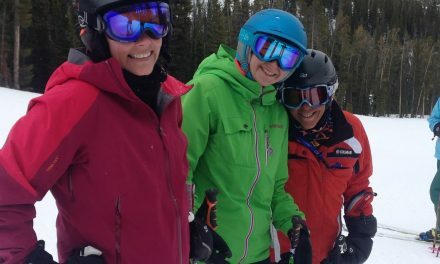 Back in May I posted a Mother’s Day tribute to all the ski moms out there. Which is only fitting, since my blog (and my forum, too) are geared toward women. But with Father’s Day approaching, I thought it only appropriate to give the Dads their due. See, my Dad is the one who introduced me to skiing way back when I was 13. No, we weren’t a skiing family. I grew up on the Jersey Shore, which is flat, flat, flat, and where the closest thing to skiing is surfing. Which isn’t really close at all. But for my 13th birthday, my Dad took us all up to a small resort in the Catskills (that’s in New York state, for those who don’t know), where there was a small hill served by a rope tow. Of course, we all had to try it. Rope tows are evil devices invented primarily, I think, to separate the wheat from the chaff. You have to really want to ski to stick it out on a rope tow. The rope absolutely shreds your gloves. And if you don’t keep your feet in the exact track of the skis ahead of you, you’re going to go down, baby. If you’re like me and fall without letting go of the rope, you end up being dragged a good distance before it occurs to you to drop the rope, idiot, and roll away so no one skis into you and there’s a nasty pile-up with you on the bottom, crying. Suffice it to say I fell in both directions: up and down. ?I hated it. The only thing that kept going was sibling rivalry. My sister was better than I was, and damn it, I couldn’t allow that to happen. I learned the basics, and by the end of the weekend had (sort of) perfected a wobbly snowplow that got me down an incline not much steeper than a parking lot. And yet I stuck it out. Even after that weekend, I continued to ski with my Dad. We’d head to north Jersey (Great Gorge, Vernon Valley, Snow Bowl), New York State (Bellayre), even into Vermont (Mount Snow, Killington, Haystack, Hogback), And ever so gradually, my skiing improved until I was better than my sister — who, by the way, eventually gave up skiing and moved to Florida, where she complains it’s?freezing if the thermometer dips below 60. Wimp. 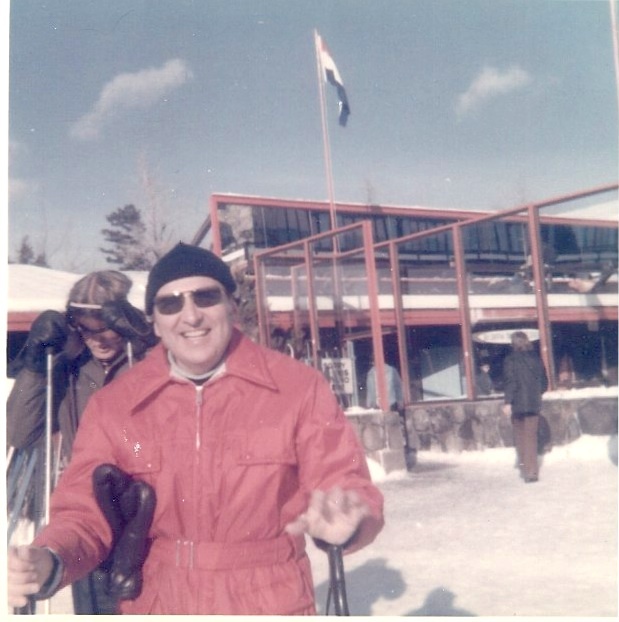 My clearest memory of skiing with my Dad is the way he used to sing when we went up on the lift — corny songs at TOP VOLUME so that everyone, I thought, alllllllllllllll over the mountain could hear, laugh, and point. When you’re a teenager, this is devastatingly embarrassing. My Dad doesn’t ski anymore. Like my sister, he lives in Florida, and while he’s in excellent health (knock on wood), he’s 88 and his knees aren’t what they used to be. This doesn’t stop him from swimming half a mile three or four times a week. The man is an absolute machine. Still, what I wouldn’t give to ride up the lift with him and have him sing to me — even at TOP VOLUME — one more time. So thanks Dad, for everything. You’re the best. 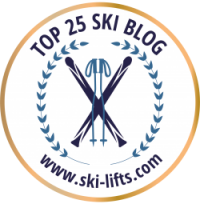 For more memories of Ski Divas skiing with their Dads, go here. PreviousSex sells. But should it in skiing? NextSkiers who should die in a zombie apocalypse. You’re not a real skier unless you [fill in blank]. 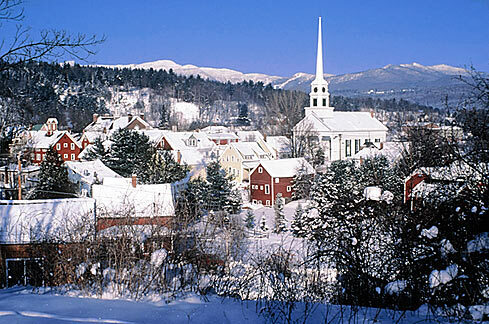 11 Things I’ve Learned Since Moving To A Vermont Ski Town. A wonderful tribute! Thanks for sharing it. I agree about rope tows. Who’s idea was that, anyways? Yeah, those rope tows were killers. 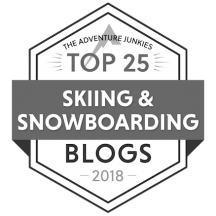 I live not far from the site of the first rope tow installation in the United States: Suicide Six in Woodstock, VT. It’s a charming little ski area. Very historic. 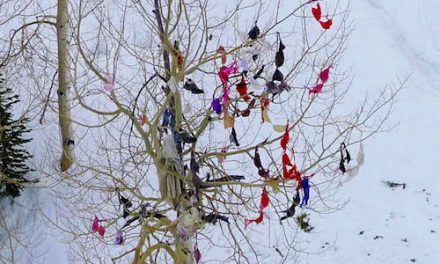 You’d never guess it was responsible for unleashing such a horrible torture device on beginning skiers.